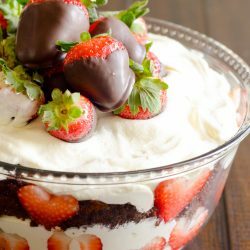 Chocolate cake, strawberries, and a cheesecake filling make this trifle a beautiful and delicious dessert that is so easy to make. So guys. I’ve made a decision for 2017. 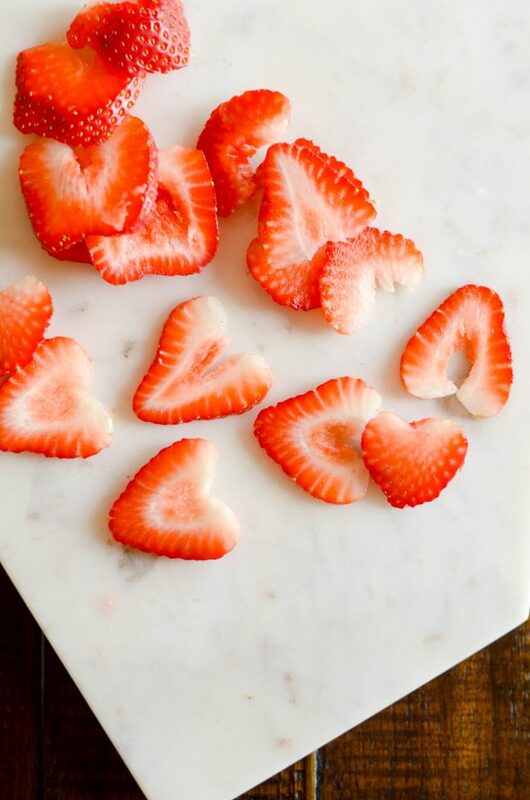 I’m skipping the usual January “skinny” recipes and diving headfirst into Valentine’s day recipes. There are two reasons for this. One, I just don’t care about skinny recipes this year ????. I probably should. But I really don’t. I made a Skinny Peanut Butter Banana Bread for Keat’s Eats this week, and I think that’s about all I’ve got in me. So if you’re looking for diet-friendly treats, head to the archives this year. And two: I’m sick and tired of missing the window for posting Valentine’s day treats every year! Every year I wait too long, because I’m too preoccupied with creating lots and lots of skinny treats for my January posts. Then– BAM! It’s February, and Valentine’s is two weeks away, and I’ve already missed the whole train! Well, not this year. I’m putting my foot down and we’re starting 2017 off RIGHT– with real dessert. ???? 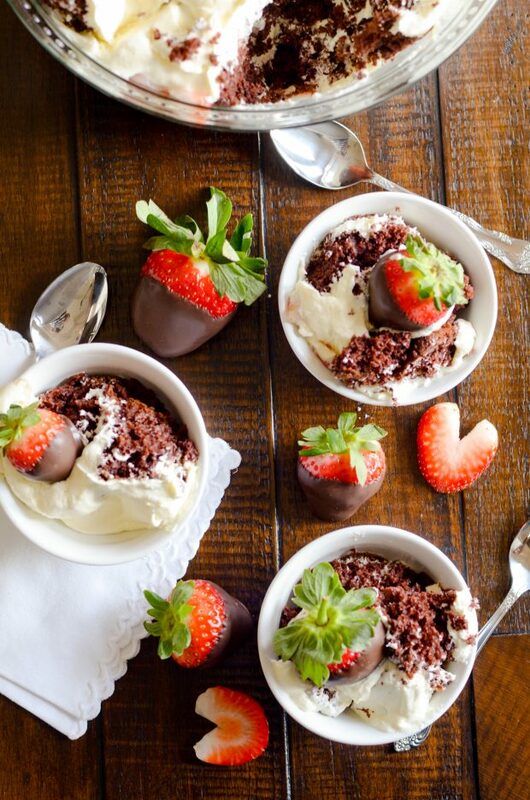 Exhibit A: Chocolate Covered Strawberry Trifle. I mean, can I get an AMEN?! Look at this thing! 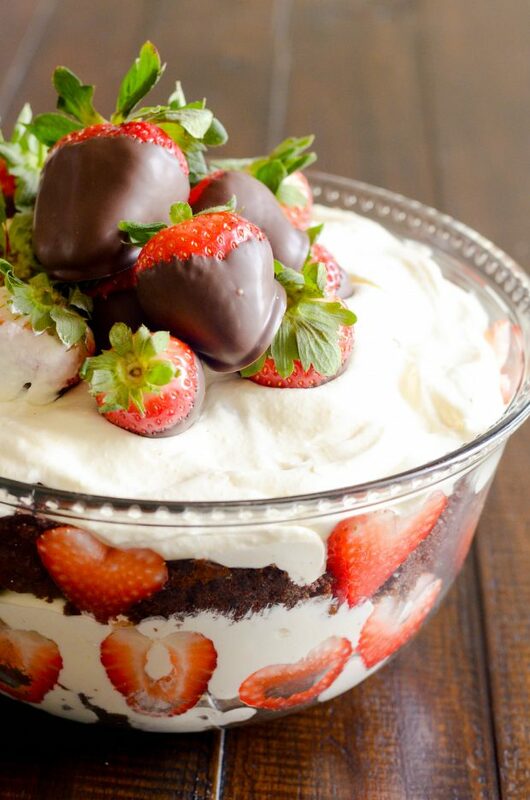 Layers of devil’s food cake and cheesecake filling and sweet little strawberries cut like hearts ❤️. 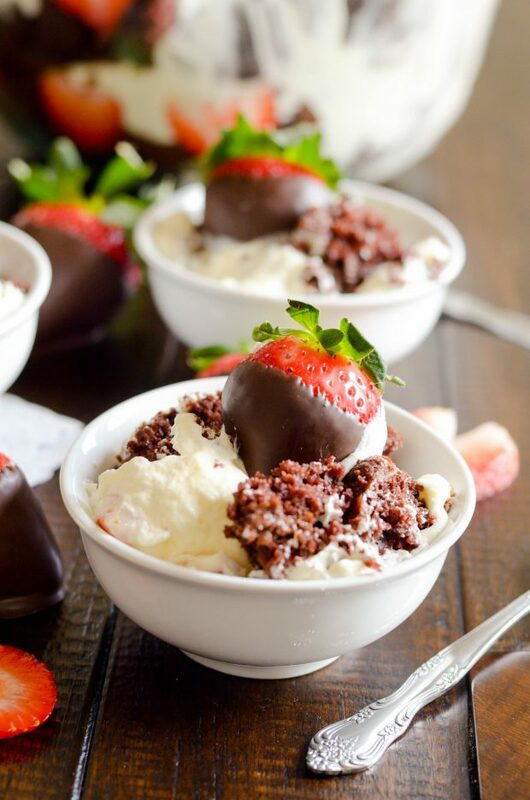 Plus, the chocolate covered strawberries on top! We can’t forget those. Obviously, this thing is delicious. And what a BEAUT! But the best part? It’s so friggin easy to make. I puffy heart trifles, because I swear there is NO other dessert that gives you a better return for your time investment. It’s like maybe 10-20 minutes of hands on time (maybe?) for this work of art! ???? Cheesecake filling (it’s just pudding and Cool Whip, y’all). ???? 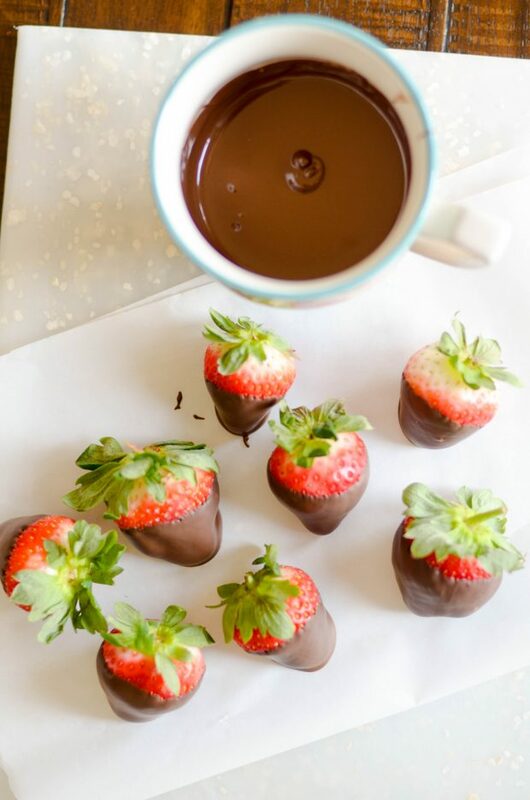 And a little chocolate for the strawberries on top! But back to this trifle. Honestly, this has been one of my very favorite desserts to make and eat. I’m sure it’s obvious by now, but to me, the combination of any kind of cool and creamy mousse/pudding/Cool Whip-y type stuff with cake is basically my version of heaven. I could eat stuff like this by the barrel all day every day. With or without a spoon. I really wouldn’t care. ???? I guess what I’m trying to say is… this trifle is really, really, really good. And really, really, really easy. And I hope you make it and love it as much as I do!!! 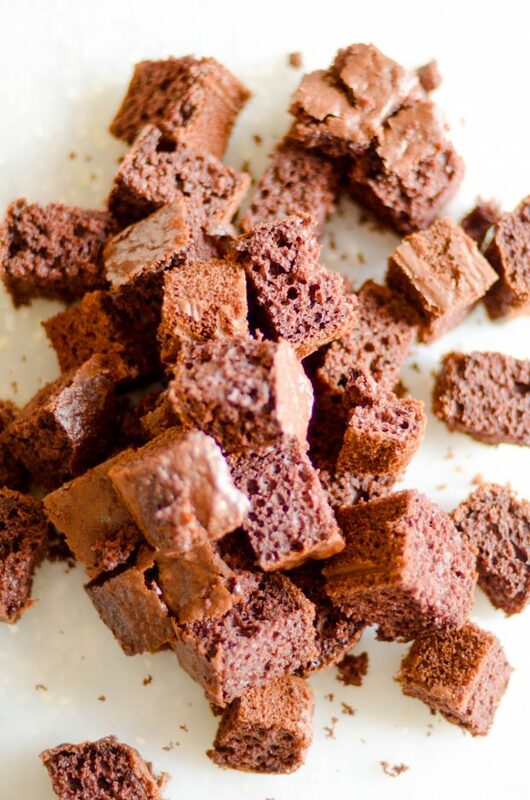 Cut the cake into cubes. Layer half of the cake pieces in the bottom of a trifle dish. 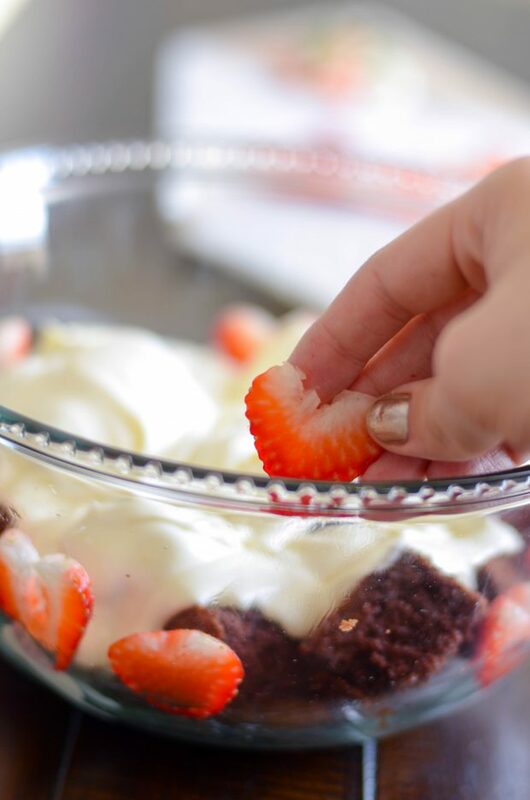 Line sliced strawberries around the trifle dish just above the cake layer. Whisk together the pudding mix and milk until pudding begins to thicken. 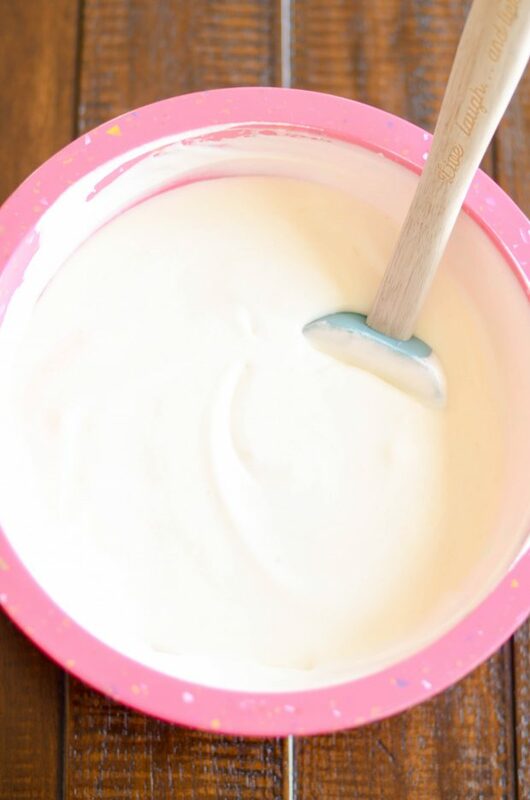 Whisk in half of the Cool Whip until fully incorporated, and then fold in the remaining Cool Whip. Pour half of the pudding mixture over the cake and strawberry slices. Repeat with the remaining cake, strawberries (reserving some strawberries to dip in chocolate and garnish the top), and pudding mixture. Melt the chocolate wafers according to the directions on the package. 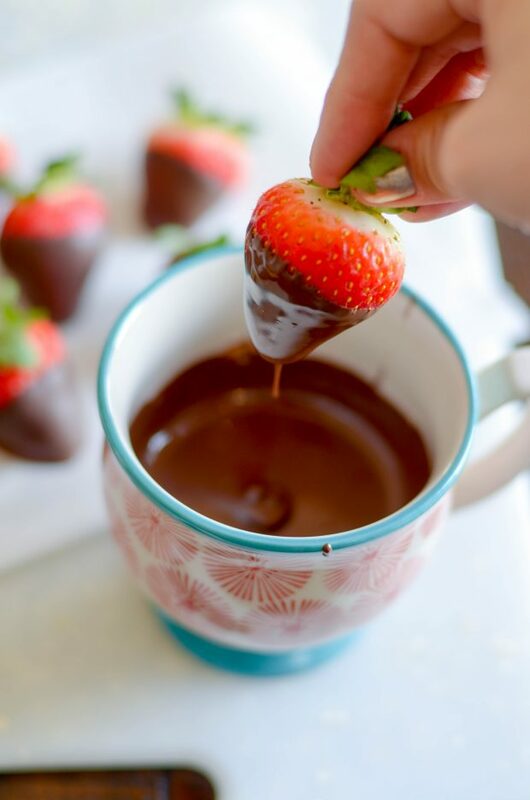 Dip each strawberry in chocolate and place on a liner to cool. 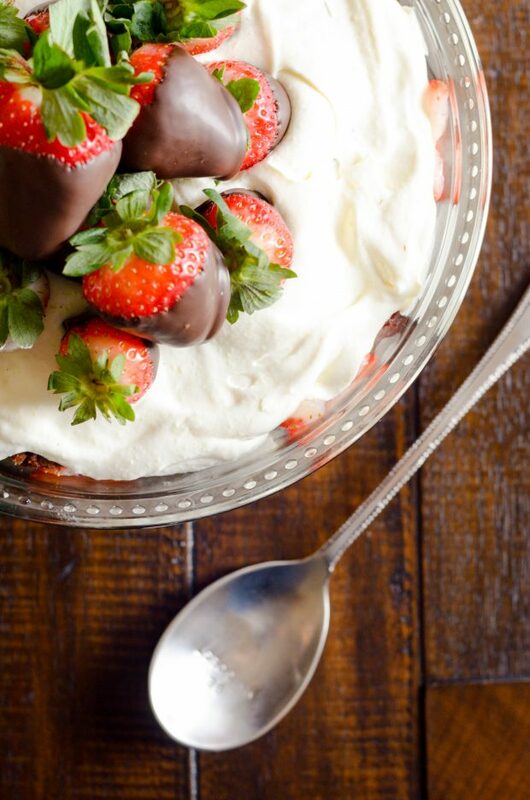 Once the chocolate has hardened, place the dipped strawberries on top of the trifle.